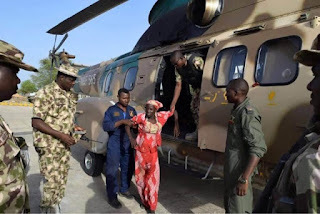 The first of the missing Nigerian schoolgirls to be rescued since her capture two years ago is to meet President Muhammadu Buhari. 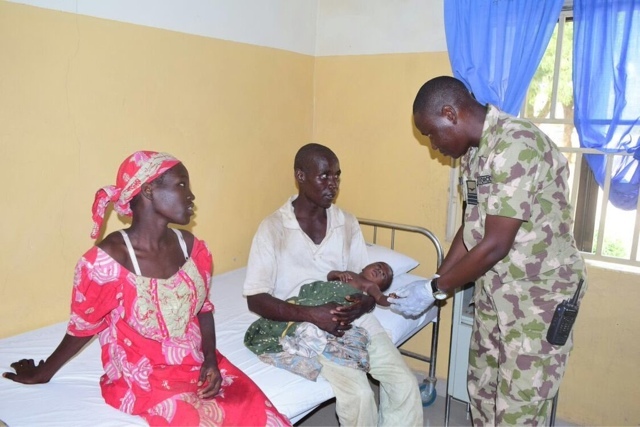 Amina Ali Nkeki, 19, was found with a baby by an army-backed vigilante group on Tuesday in the huge Sambisa Forest, close to the border with Cameroon. She was one of 219 pupils missing since being abducted from a secondary school in the town of Chibok in April 2014. They were taken by the Islamist militant group Boko Haram. 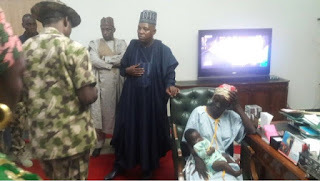 On Wednesday, Ms Nkeki and her four-month-old baby were flown by the Nigerian Air Force to Maiduguri - the capital of Borno state. Earlier, they were examined at a local military facility. 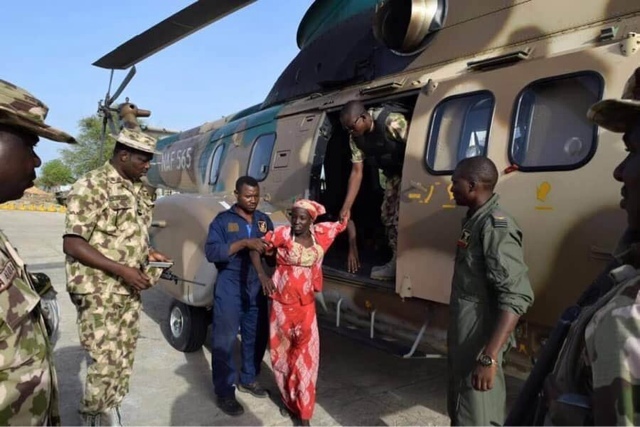 Ms Nkeki - who has had an emotional reunion with her mother - is expected to arrive in the country's capital Abuja later on Thursday to meet President Buhari. 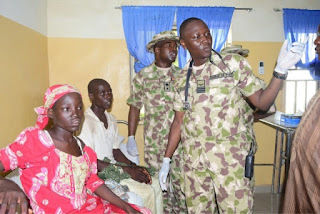 Mr Buhari's spokesman said the young woman would then be helped to reintegrate into society. Ms Nkeki was reportedly recognised by a fighter of the civilian Joint Task Force (JTF), a vigilante group set up to help fight Boko Haram. 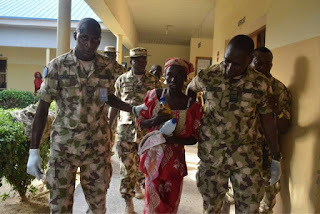 She was with a suspected Boko Haram fighter who is now in the Nigerian military's custody. 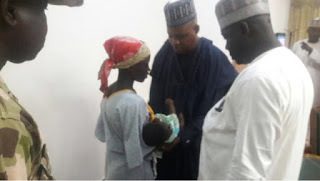 Named as Mohammed Hayatu, he said he was Ms Nkeki's husband.